Canned salmon has been a staple for decades. The popular sizes we pack are: 425gram, 200gram and 185gram, every single bit is edible. 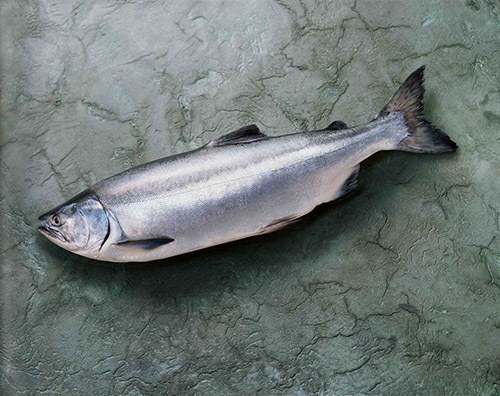 We are mainly source pink salmon from both the eastern and western North Pacific. Its Latin name is: Oncorhynchus gorbuscha. The small bones and the skin have been processed to be so soft they will blend into other ingredients; and the bones are a superb source of calcium. 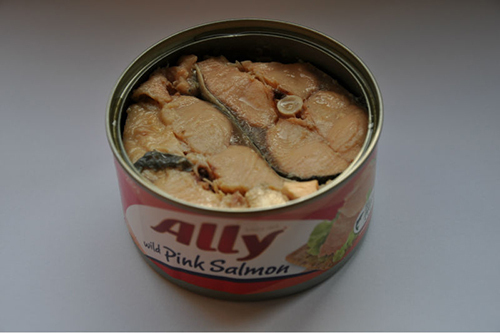 You may be able to find boneless, skinless salmon in product list. Pink salmon's nutrition makes it one of the most valuable foods you can store in your pantry. It's very rich in Omega 3 fatty acids, that important nutrient that may help prevent heart disease and strokes. It's high in protein and vitamin A, and the complex of B vitamins too. So get more salmon into your life with this wonderful product. Why not have a try from HY ?